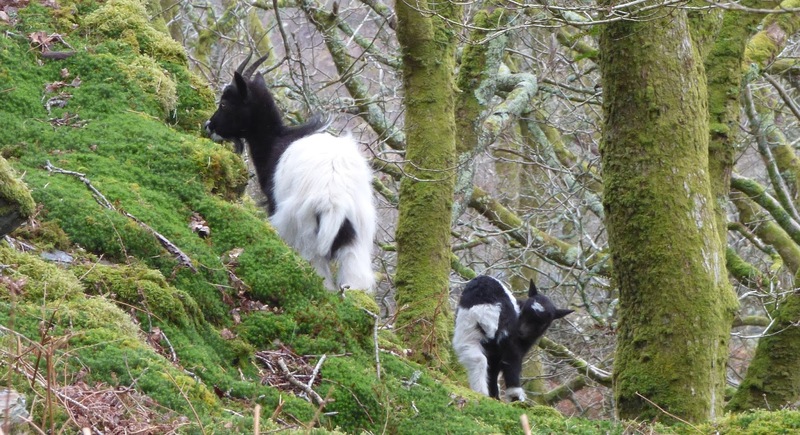 The new kid is now 19 days old and finding its feet; quick and agile on steep slopes but not yet able to cross over fences. For the time being the kid and its mum are separate from the rest of the gang, although today there was a second female or aunt in attendance. 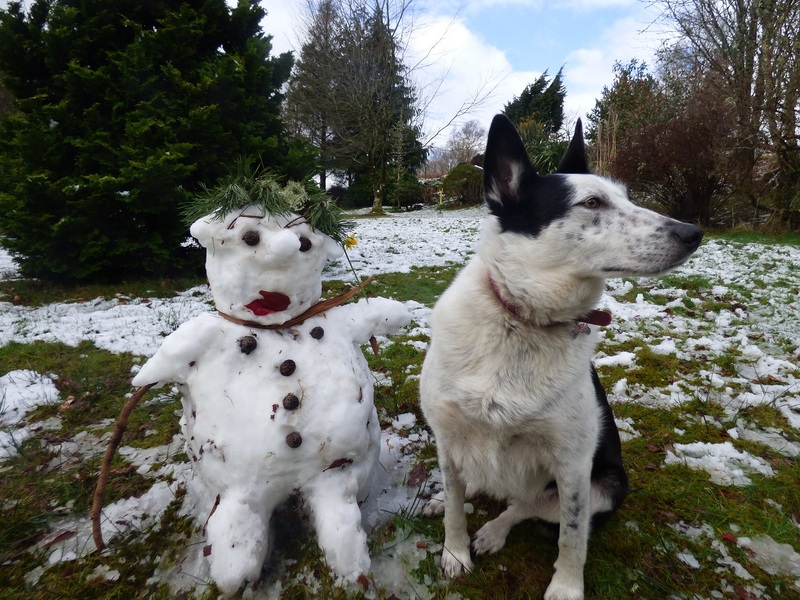 This morning’s weather was foul, cold and wet. 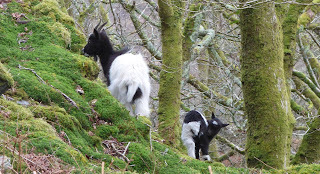 As I drove up the hill, the kid and its mum were on the drive in front of me, just above the lower hairpin. 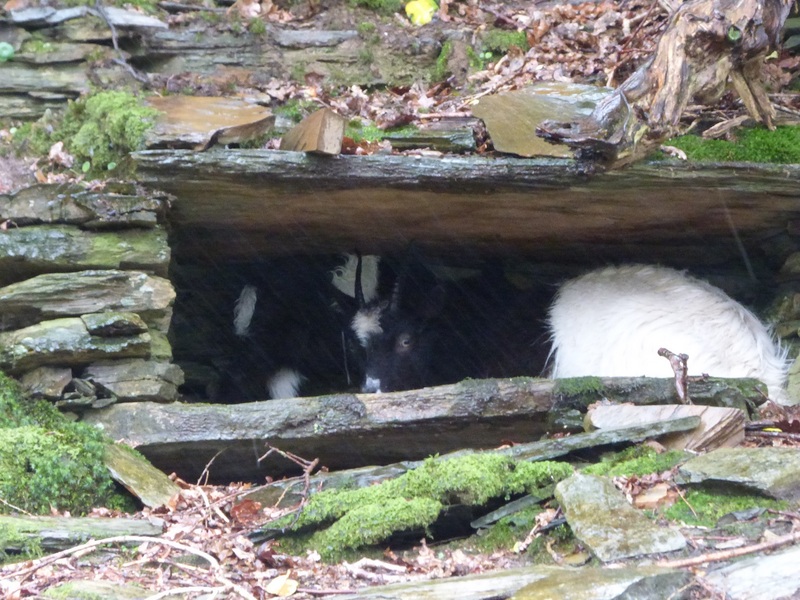 They stared at my car for a while, but as the intensity of the rain increased, it was time for shelter. They ran up the slope and took refuge in one of the bee boles. 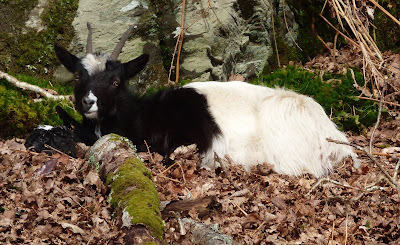 The mum ushered in the kid then squeezed in herself; a tight fit with her horns touching the ceiling. The bee boles were built for skeps, the baskets in which bees were kept before the invention of the beehive. 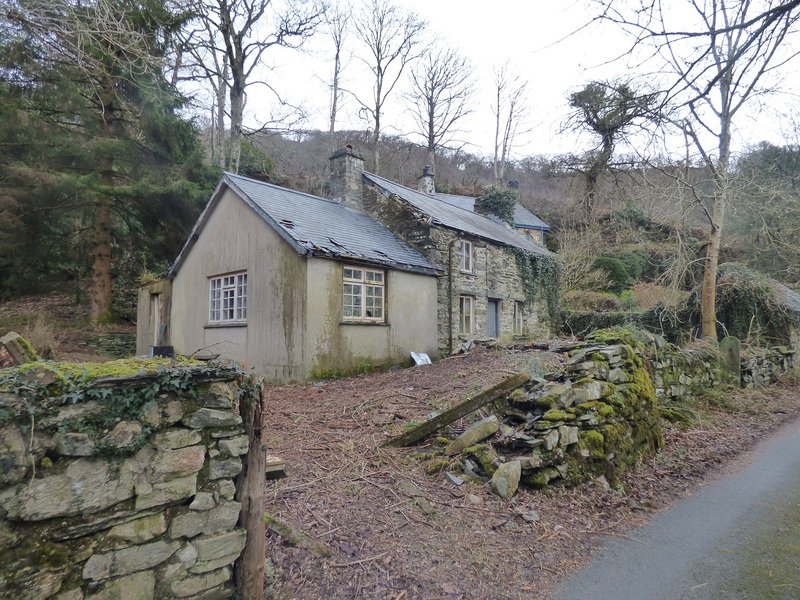 It’s good to see old buildings put to new uses. 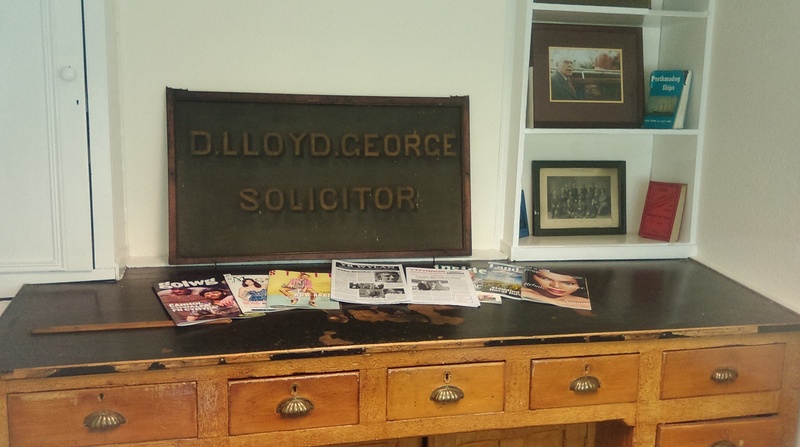 The other day we called in to a solicitor's office in Porthmadog to have some documents witnessed and were ushered into the waiting room. There on the wall was a sign saying D Lloyd George, Solicitor; the only Welshman to have been prime minister and also the only solicitor, and this had been his firm. It now says Gamlins on the outside, a regional firm with about 45 solicitors, incorporating William George & Son. 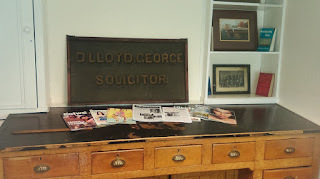 William was David Lloyd George's brother who practiced law until he was 101 years old - that's a Guinness World Record. 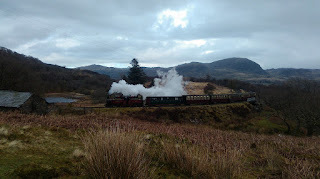 LYd2 is no relation to Lyd on the Ffestiniog Railway and I’m told by Wiki that LYd2 stands for; L = narrow gauge locomotive, Y = 3 axles, d = diesel fuel and 2 = hydraulic transmission. Not very romantic. It’s 1 of the 2 or 3 locos that operate on the St Kitts Scenic Railway in the West Indies. St Kitts was the Mother Colony, the first British colony in the Caribbean – it was also the centre of the British sugar trade. Sugar cultivation had started in the 1640s and it soon became the only crop, a monoculture. Its sugar was a very high quality; yields were high, in terms of how much sugar came from a ton of sugarcane, due to the fertile ground and availability of water – the growing conditions were perfect. The average sugar estate was 300 acres and as a rule of thumb you needed 1 slave per acre. In 1680 the population was split 50:50 between slaves and the rest but it went on to become a ratio of 10:1 with 20,000 slaves on the island and many of the plantation owners living in luxury back in Britain. On all the other islands the sugar industry went downhill very fast after slaves were granted their freedom in 1834, but not so here. The law might have changed but otherwise the realities of life were the same. White people owned all the land, controlled the government and there was only one crop – so sugar production marched on, albeit with the former slaves now being paid. At the centre of each estate, and by now there were 300 estates, would be a mini sugar factory, with a crushing machine to extract the juices from the cane, and a boiling house where the juice was converted into molasses. The first crushing machines were powered by livestock, but then came the windmills, which was a big improvement, provided there was wind. These in turn were converted to steam in the 1870s and as you travel around the island there are these pairs of a fat tower (for a windmill) and close to it, a tall chimney for the fires. At the start of the 20th century the global sugar cane market was in serious decline, it was being outcompeted by sugar beet production. 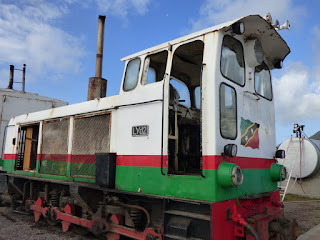 So the St Kitts plantation owners decided to modernise – instead of having 300 small factories on the 300 estates they built one central sugar factory and to connect the estates to the factory they built a narrow gauge railway. Double decker carriages coming round the bend at Tabernacle. This investment coincided with World War I, when lots of the land in Europe being used for sugar beet, was now a battlefield, or being used to grow wheat. As a result of modernisation and circumstance, the industry in St Kitts became profitable once more. 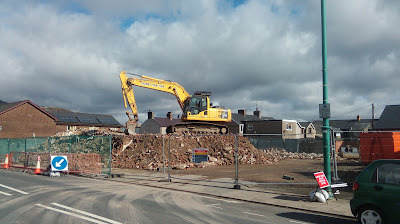 But by the 1970s the industry was in bad shape again and the government nationalised it – buying the land and the factory. The estate owners grumbled about the price of their land but the initiative went through and the industry limped on until the factory closed and production stopped in 2005. At the start of the 21st century the costs of production were more than double the price for which the sugar could be sold, despite the majority of the export being bought by Britain at an inflated price. The Government subsidy was an unsustainable burden on the economy. St Kitts had been outcompeted by producers with large tracts of land which could be harvested mechanically – the rugged landscape of St Kitts meant that 80% of the sugarcane had to be cut by hand. and a 4 x 4 follows by road to close them. 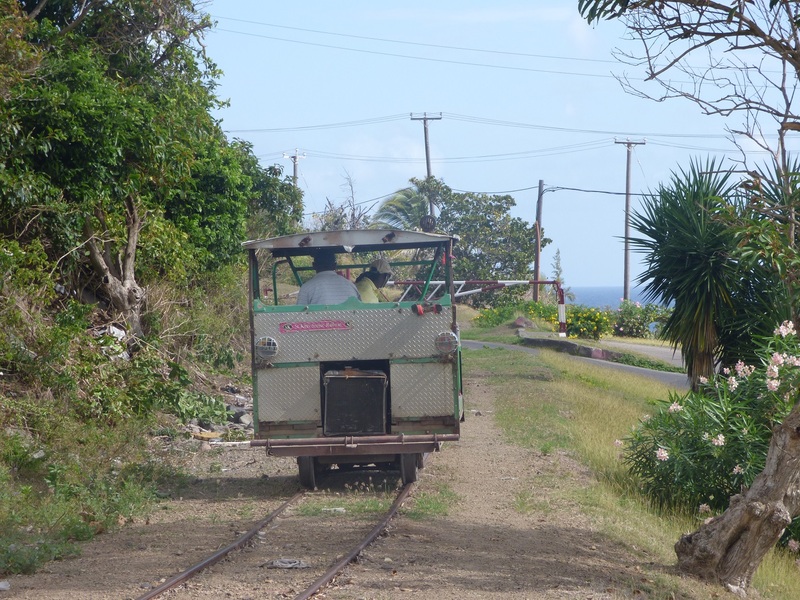 The railway construction, to deliver sugar cane from the plantations to the new central sugar factory, began in 1912 and took 14 years to complete. 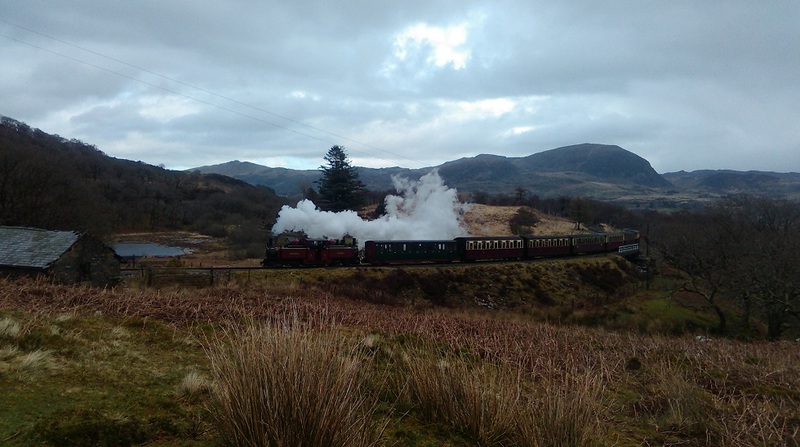 It is a narrow gauge railway and was run during the harvest season between February and June - for the train buffs the gauge was 30” which is not as narrow as the 23 ½” gauge of the Ffestiniog Railway. The Sugar Train rattled into the yard for the last time in 2005, that was the year when the government pulled the plug on the loss making sugar factory. 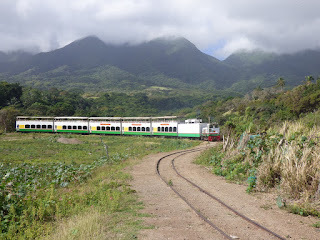 In parallel with the final years of the Sugar Train, it began its new life starting to operate as the tourist train in 2003. 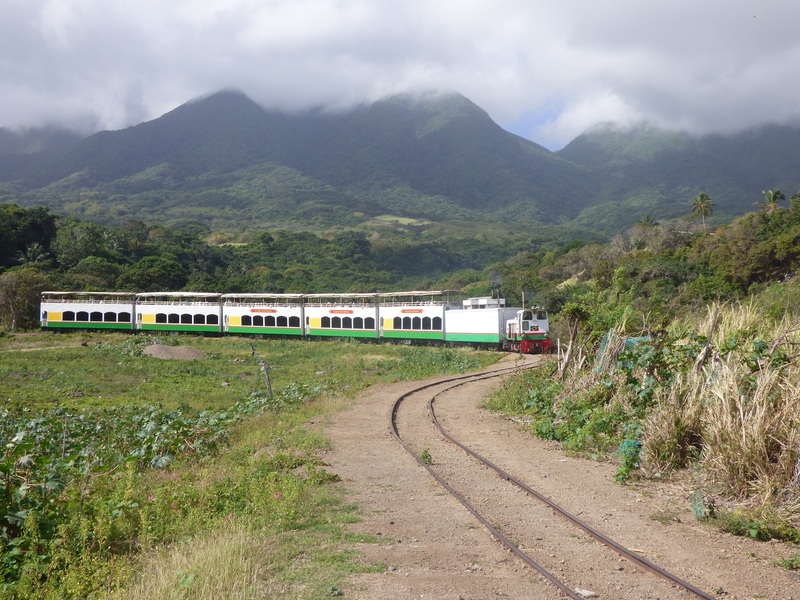 Prices on heritage railways are never cheap – they cost a fortune to run – but included within a ride on the St Kitts are complimentary drinks, such as rum punch, frozen daiquiris and soft drinks. There is a tour director who provides the commentary and sometimes there is even an acapella choir! 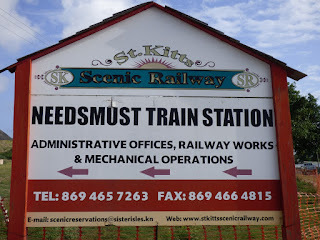 As for the St Kitts equivalent of Harbour Station, that's called the NEEDSMUST TRAIN STATION. To find out more about the St Kitts Railway click here. Woodpeckers drill into trees either to make holes for a nest or to find bugs to eat. But what our woodpecker is doing is the opposite of mining and more like quarrying - he is systematically dismantling the entire stump of the old sycamore tree. Each time we use the car we have to pick off the pieces on the bonnet or the windscreen.